McDonough Marine Service, P.O. Box 26206, New Orleans, La. MARITIME REPORTER/Engineering News. A quick-reference readers' guide, it includes the name and addresses of the world's leading manufacturers and suppliers of all types of marine machinery, equipment, supplies and services. 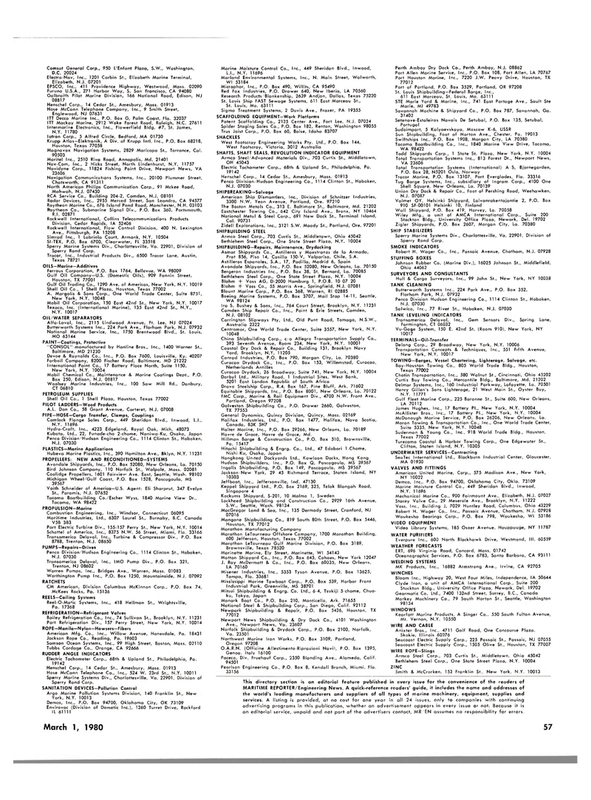 A listing is provided, at no cost for one year in all 24 issues, only to companies with continuing advertising programs in this publication, whether an advertisement appears in every issue or not. Because it is an editorial service, unpaid and not part of the advertisers contact, MR EN assumes no responsibility for errors.